TheRudeDogShow | Rudy Reyes speaking to Running Backs Coach Anthony Weems and Offensive Coordinator Tyrone Barnes of the Atlanta Horsemen. We discuss the losing nature which allows growth to occur, expanding ones understanding of the game and what aspects create a "champion" within the EliteTalent.Biz organization 101718. 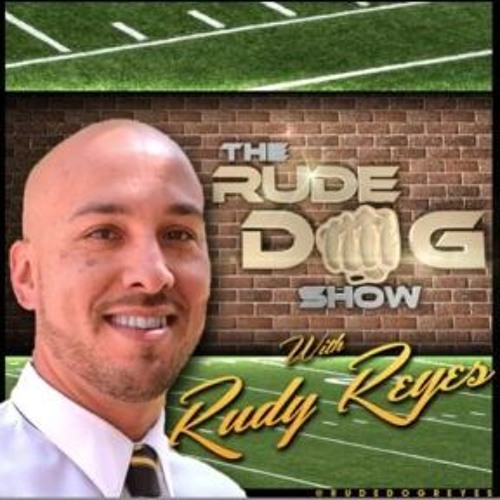 Users who like TheRudeDogShow | Rudy Reyes w/ Coach Anthony Weems & Offensive Coordinator Tyrone Barnes 101718. Users who reposted TheRudeDogShow | Rudy Reyes w/ Coach Anthony Weems & Offensive Coordinator Tyrone Barnes 101718. Playlists containing TheRudeDogShow | Rudy Reyes w/ Coach Anthony Weems & Offensive Coordinator Tyrone Barnes 101718. More tracks like TheRudeDogShow | Rudy Reyes w/ Coach Anthony Weems & Offensive Coordinator Tyrone Barnes 101718.